One man’s trash is another man’s treasure – especially if you have Judy Villarreal on your team! Not only does Judy have a knack for DIY projects, she also has a talent of bargain shopping on Craigslist. Repurposing things is her game, so when it came time to give the San Antonio conference room a face lift, Judy volunteered for the job. What are the secrets to the makeover? Old fence posts and an oil painting from the 60’s. 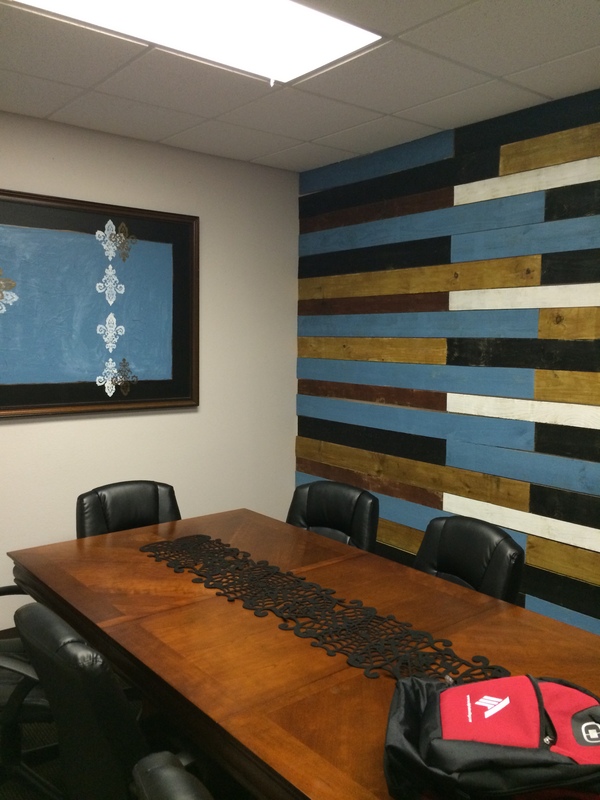 After a lot of paint, staining, and creativity, a charming conference room was designed – on a dime! Traveling outside Texas? Need a coffee for the road? Try Dutch Bros. Coffee, discovered and approved by our coffee scout, Jeff Wilt. Dutch Bros serves the West and has too many locations to count in Oregon, California, Washington, Idaho, Nevada, Colorado, and Arizona. Wherever your destination of choice may be, don’t plan on making this a sit down coffee stop. They are drive-thru only, but most locations stay open until 11pm and some even around the clock. 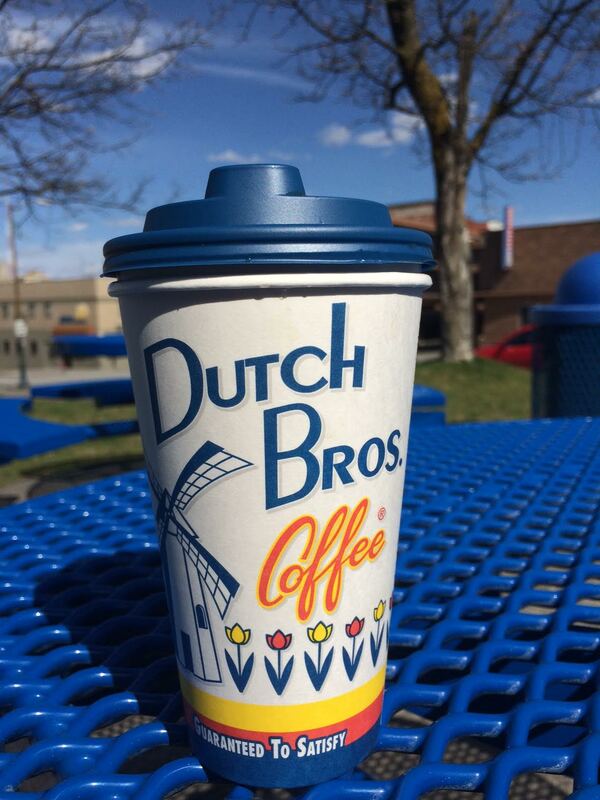 Make Dutch Bros your caffeine destination on your next trip west. Alpha knows dirt. Especially that Texas clay kind. As for those clay targets at the 6th annual WEAT-NTS Clay Shoot? No lab testing needed there! 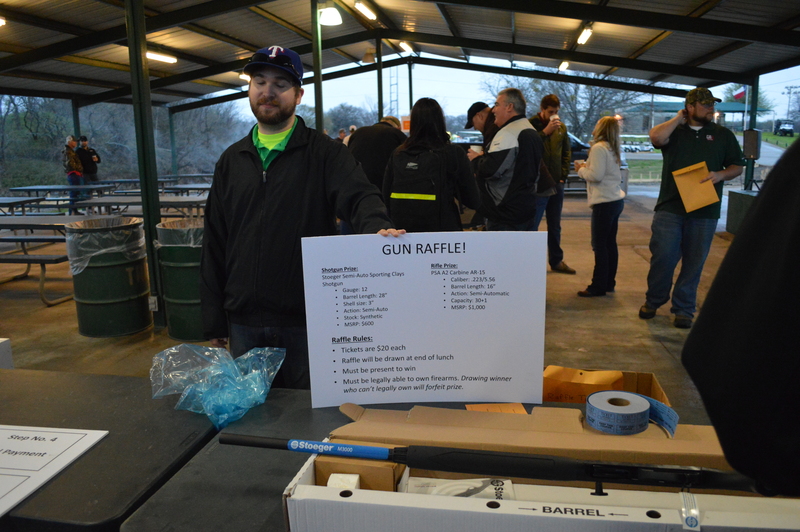 On March 20, Marianne Stanton and Tom Patterson honed their skills, in the rain, at the Elm Fork Range in Dallas along with many from the water and wastewater world. A full day of target practice, raffles, give-a-ways, and even the rain made for a great Friday. Alpha has been a sponsor for the tournament, which benefits the Water Environment Association of Texas Scholarship fund, for five consecutive years. For you baseball fans – the season has begun in the MLB, which means that the San Antonio office is getting their game on too, well for softball that is! Games are every Friday, starting at 7:00pm at the Kroger Stokes Softball Complex, East field. See the scheduling below and come out to support the Alpha Team! This one was discovered by our Baylor Graduate, Robert Boone. 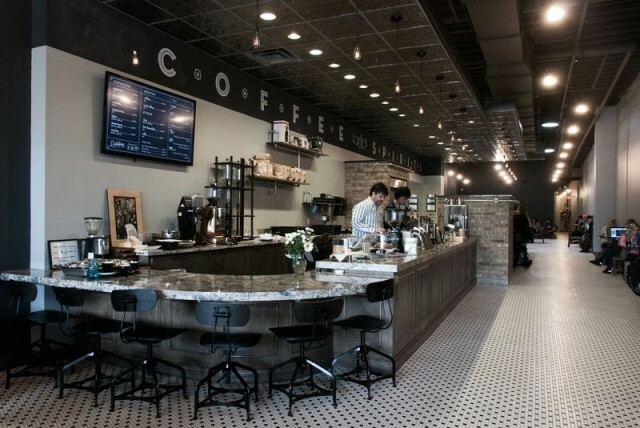 Dichotomy offers both premium coffee and craft spirits; a contrasting menu to say the least – hence the name dichotomy! For your caffeine purposes, this is the place for specialty coffee, made with quality roasts and expert hands. For a caffeine cure, try the Cortado, an espresso drink with the strength of a macchiato and smoothness of a latte. This also might be the only place that hosts Thursday Night Throwdowns, a contest for those brave enough to put their barista skills to the test. Will you be the next champion?